I absolutely love,enjoyed season 1 of lucifer the fox tv show! I really hope a second season will be returning soon! I can’t seem to find when it will be back on but I simply can’t wait for it to return! Awesome acting, fun scenes & fun ideas with the story line! Hoping it comes bk on stat! I LOVE THIS SHOW! SO GLAD IT’S BEEN RENEED! 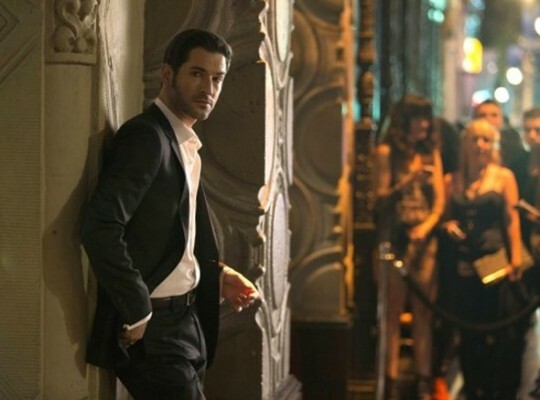 TOM ELLIS IS SPECTACULAR AS LUCIFER! Who know when the second season will be starting? I LIKE IT! IF YOU DON’T, YOU CAN GO TO ……. I love this series. So sick of reality shows. yes keep it going, the ratings will grow, and become a big hit son k.
I have been reading the comments on Lucifer and am astounded at how many Women enjoy the series. Arn’t there any men that liked the series. This is by far the best series I have seen come along in years. The writing and sense of humor are something special. I had to rewatch the first season to catch up on all the quick little lines that I missed watching it the first time. Keep up the good work and I am certainly glad Lucifer is comiing back for at least a second season. Loved the show and the cast is superb. So glad to hear it has been renewed! Love the show and his sense of humor. I liked Lucifer a lot. It is a fresh idea about how good and evil works. Much like drive angry we can’t blame Lucifer for all the evil men do. sometimes we have to take reasonability for our free will actions. And since we were made in the likeness and image of God, Lucifer shows human feelings. I hope they keep it. I also think they should give credit to the shows that are put on the DVR. This allows people that have to work for a living at weird hours to be entertained.